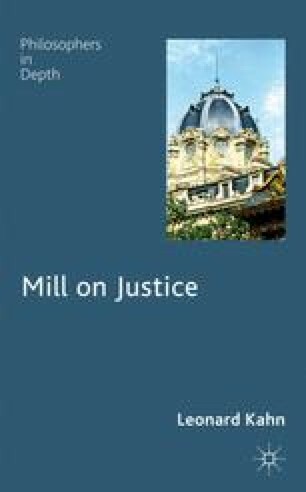 The concept of justice has recently been — and continues to be — one of the most vibrant and fruitful sources of work in ethics, political philosophy, and the philosophy of law. While the resurgence of interest in justice can be traced to John Rawls’s A Theory of Justice (1971), the topic has taken on a life of its own. Of course, while Rawls (1993) and others (e.g., Nagel, 1991; Scanlon, 1998; and Daniels, 2007) continue to develop his versions of liberal egalitarianism and contractualism, many other theories of justice have flourished in this environment. These include right libertarian theories (e.g., Nozick, 1974), left libertarian theories (Otsuka, 2003), communitarian theories (e.g., Sandel, 1982 and 2009), and Marxist theories (e.g., Cohen 1995 and 2008), as well as alternative forums of social contract theory (e.g., Gauthier 1986; Skyrms, 1996; Binmore, 2005; and Parfit, 2011). While many of the developments of, and responses to, Rawls have focused on distributive justice, it is worth recalling that his theory was itself an attempt to find a replacement for utilitarianism (Rawls, 1971, pp. 19–24). Despite this fact, utilitarians, as well as consequentialists in general, have largely, though not entirely, stayed at the outskirts of work on justice.1 This is unfortunate, not only because utilitarianism has much to say that is immediately relevant to Rawls and company but also because in some cases utilitarians offer a broader conception of justice which has much of value to offer moral philosophers of all stripes, if in some cases simply by way of sharpened challenges.